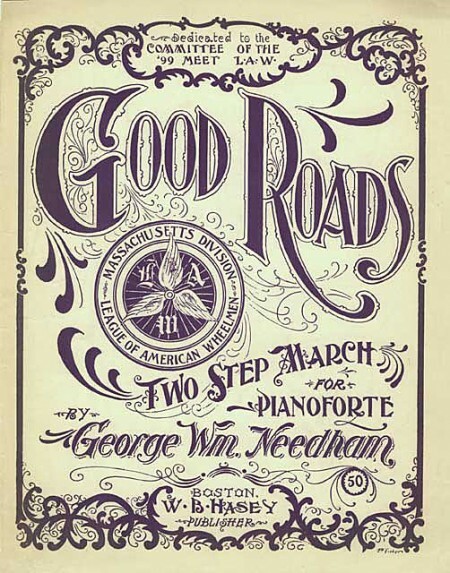 Sheet music for “Good Roads: Two Step March for Pianoforte” by George Wm. Needham (1899). 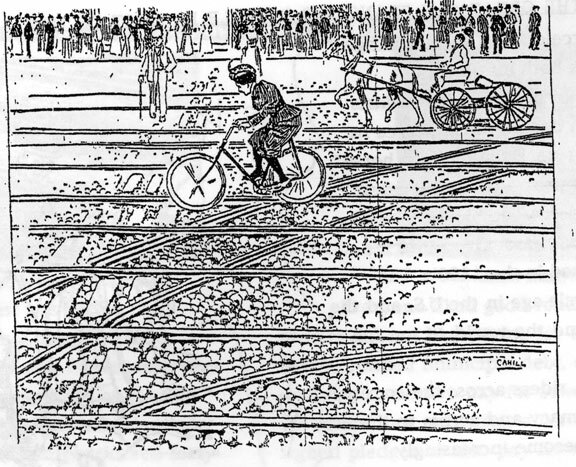 A cyclist navigating streetcar tracks. 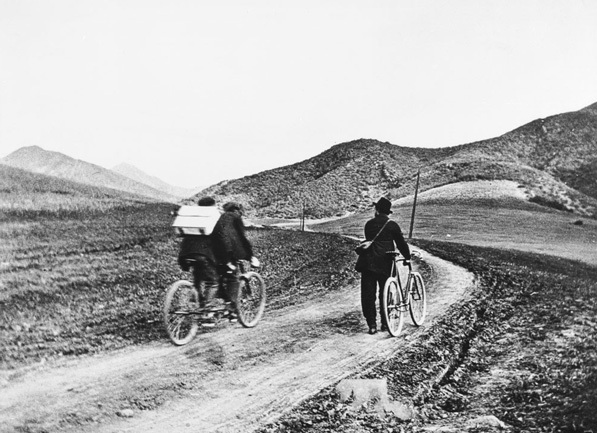 Three bicyclists ride up the Cahuenga Pass, ca.1897. 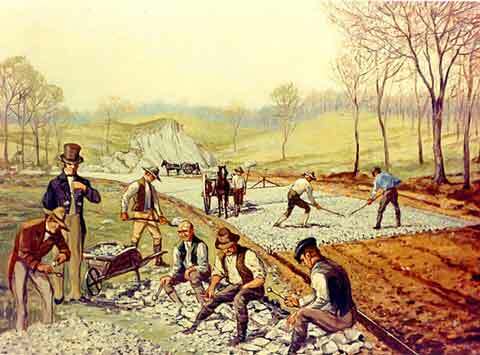 Workers constructing a macadam road. 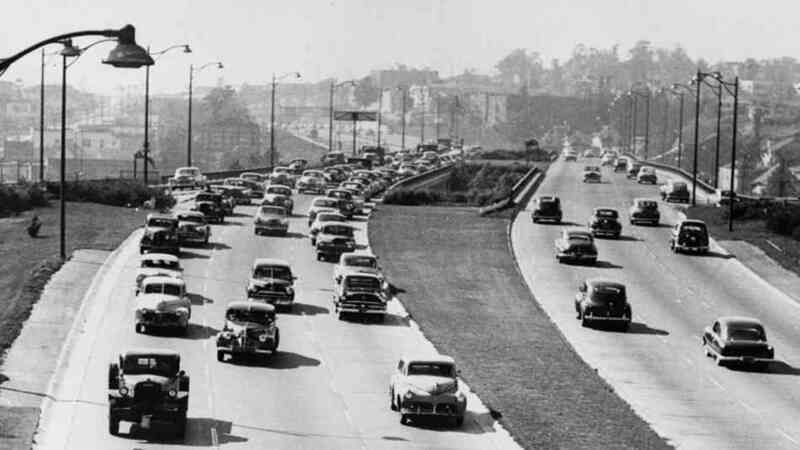 A Southern California highway in 1953, one of the crowning achievements of the "good roads" movement that actually began in the 19th century with bicycles. 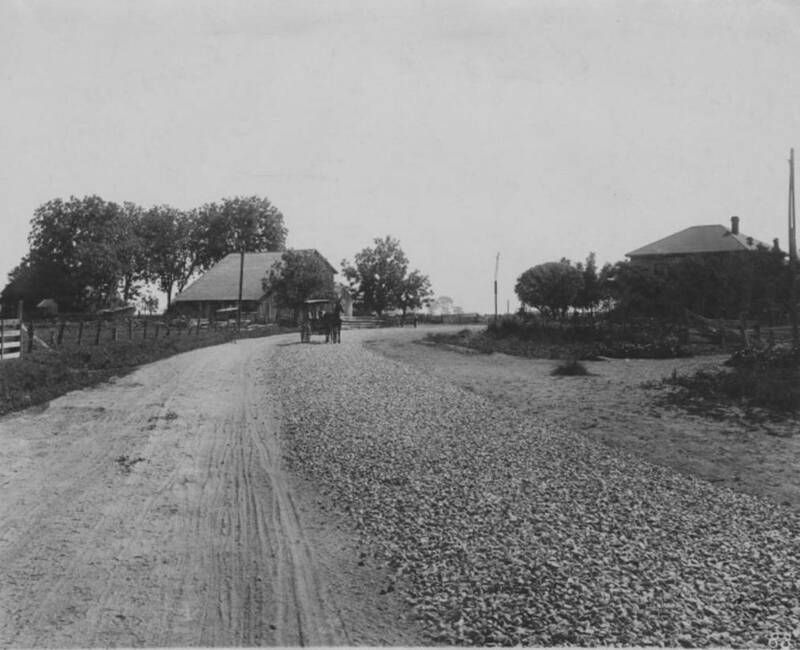 A macadam road, ca. 1850.